Greg Greer grew up on 9th and Keefe. 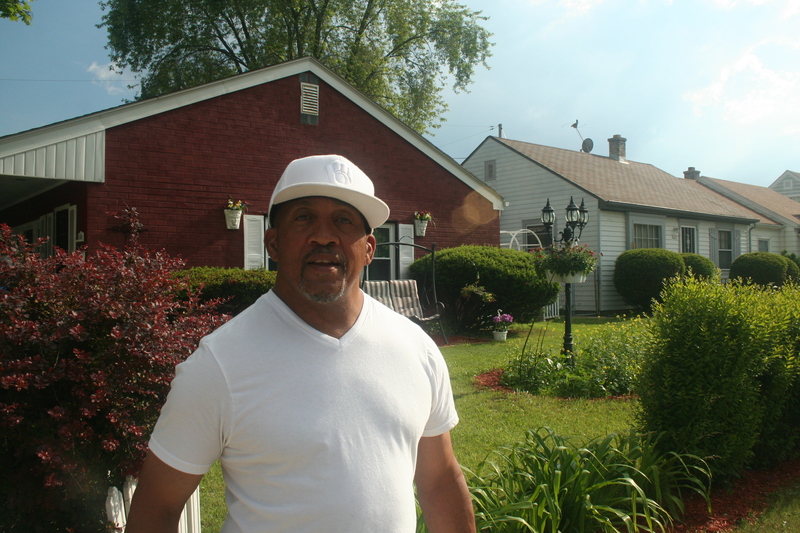 The 50-year-old Greer, who now lives near Teutonia and Villard, had a lot to say about neighborhoods, gangs and the cycle of violence. Greer points down the block. “Been living in that same building over there 20-some years and, I mean, I’ve done seen this [neighborhood] just fall apart,” he said. What was it like for Greer growing up in Arlington Heights/Borchard Field (near 9th & Keefe)? “It was terrible… but it was terrible once I got older. When you get to the point when your parents can’t take care of you no more or you ain’t listening to them, that’s when the neighborhood changes. Kids think the neighborhood changes cause of their surroundings; the neighborhood changes when you change. You know, there comes a point – I don’t care what type of child you are, how sheltered you’ve been, how much money you had, how much you don’t have – there’s gonna come a point that they’re gonna come and you realize you’re on your own, now. You know what I’m saying? But, in spite of these realities, Greer expressed optimism and hope for the younger generation and the opportunities available to them. “Now, most of these young guys ‘round here today, they’ve got more going for them than they even know. I’m talking about from grade school up – kids, everybody. They have avenues to explore that they don’t even realize. All we had was go-carts,” he said. Did you find value in Greg’s story? If so, please subscribe to our newsletter; we publish the story of a different Milwaukeean every week.